Masquerading as just another coffee house (even the name refers to a type of bean), Peaberry is actually a little hotbed of culinary creativity. Know anyone else round these parts serving beetroot pickled dippy eggs? 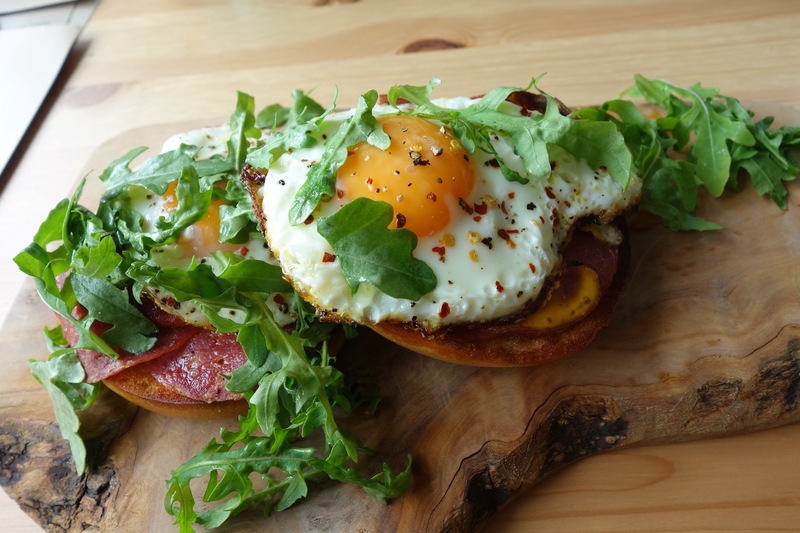 More conventionally, spicy sausage bagel and chilli fried eggs (£5.95) connects straight with the pleasure receptors; a generous pile of thin-sliced, grilled salami, pastrami and chorizo, topped with two gently runny eggs, flaked with chilli. Over half the menu is vegetarian or vegan but don’t bring your hair shirt. Hummus with bread twirls (£3.95) is a treat; the wholemeal twists are their own softer, freshly-baked-that-morning variation on bread sticks, great dipped in two types of hummus, both silky smooth with a bit of rough for interest, a gently spiced red pepper, and a deep blush of beetroot with the zing of lemon. Don’t like beetroot? You will now. The irresistibly entitled mumbojumbo marinated tofu (£5.65) is a showstopper; blocks of good tofu steeped in sweet and spice, with a glorious pile of pink slaw, formed from finely shredded red cabbage and served in a hollowed out half of iceberg lettuce, which, what it may lack in flavour, makes up in substance and style. Drinkswise, there’s eight choices of coffee, all sorts of syrup shots if you must, loose leaf teas from English breakfast to Moroccan mint, and shakes like brownie and nutella which sounds like it should come with a warning. Peaberry Coffee House, 123 St John's Rd, Waterloo, L22 9QE. Tel. 0151 928 4653. 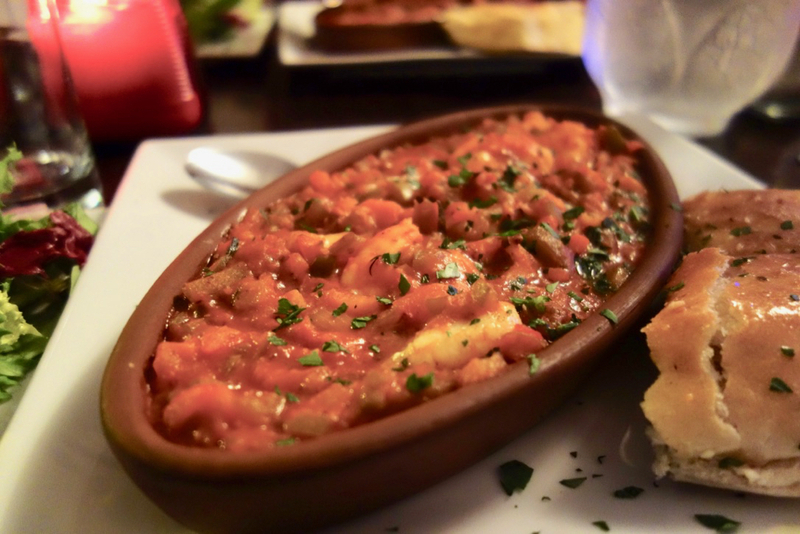 CONSISTENCY of quality is what has made this one of the most popular restaurants on Merseyside. 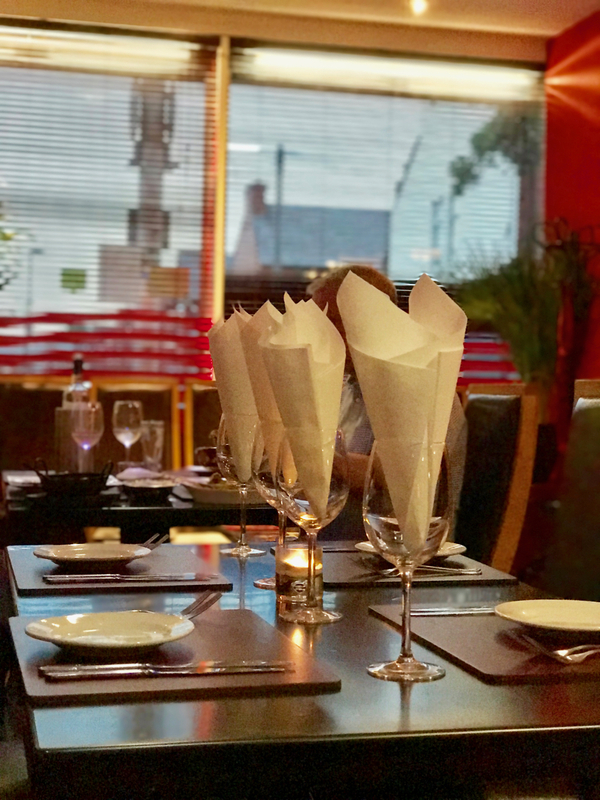 They do takeout, a great option with the usual discount, but it’s best enjoyed straight from the kitchen, in a sizeable room, in contemporary surroundings that are plain and simple, so as not to detract from food that is not. Refugees from London compare it favourably to the best of Brick Lane’s Indian curry offerings but it is for their Nepalese dishes that many make the trip to Waterloo. Pappodoms (£1.10), brittle and grease-free, with the usual selection of sundries, solid if not spectacular, are followed by a classic starter/snack from Nepal, momos (£5). Here, diminutive dumplings filled with lean minced lamb, steamed, dunked in a dipping sauce warmed with Sezchuan spices, and devoured as a single mouthful. Then mutton, chosen for flavour, comes flattened, spiced, skewered and cooked so as to retain its succulence, served with a creamy sesame and tomato relish. From the chef’s specials, we liked Sahara chicken (£9.95), moist, tender breast stuffed with barbecued lamb mince, served alongside two sauces. And from Nepal, for the fire-eaters among you, hot garlic chicken, the heat coming from a habanero sauce, while good chunks of red and yellow pepper and mushroom add in China’s influence on the country’s cuisine. 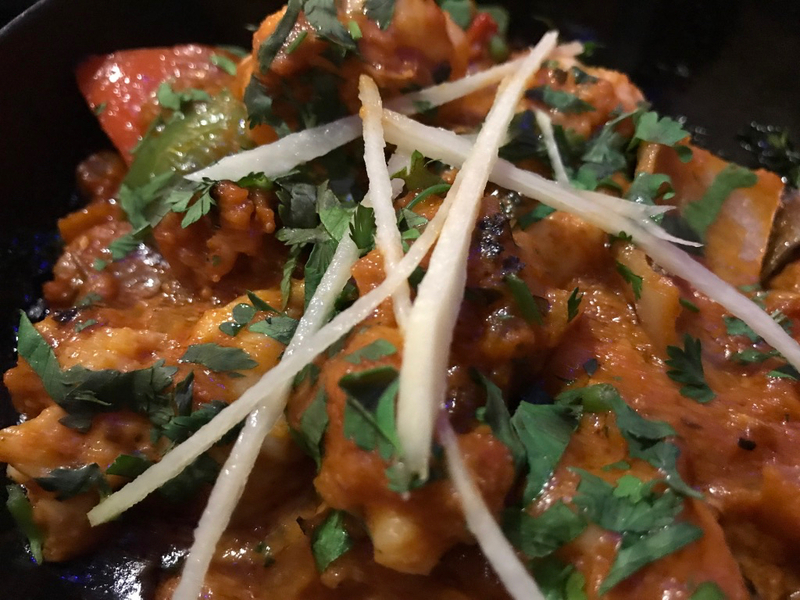 Best of all a king prawn dopiaza (above) which was a skillful marriage of ocean sensations and thick sauce of tomatoes, onion, a touch of ginger garlic and piquant lime. A keeper. Saffron Restaurant, 92 St John’s Road, Waterloo, L22 9QQ. Tel. 0151 920 8398. 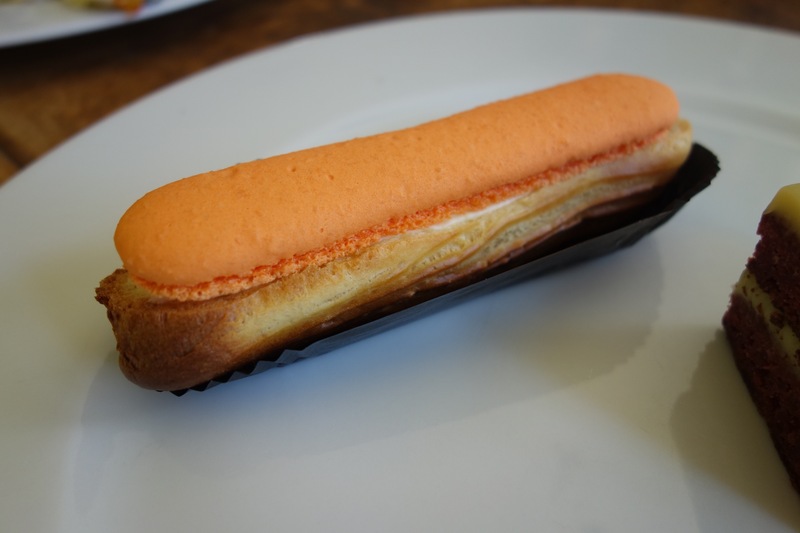 YOU used to be able to order a panini among a range of lunchtime snacks, until one day Stephen Maddock – pastry chef, baker, and inventor and trademark holder of the Maclair – underwent his own epiphany cake (yes, there is such a thing) moment. 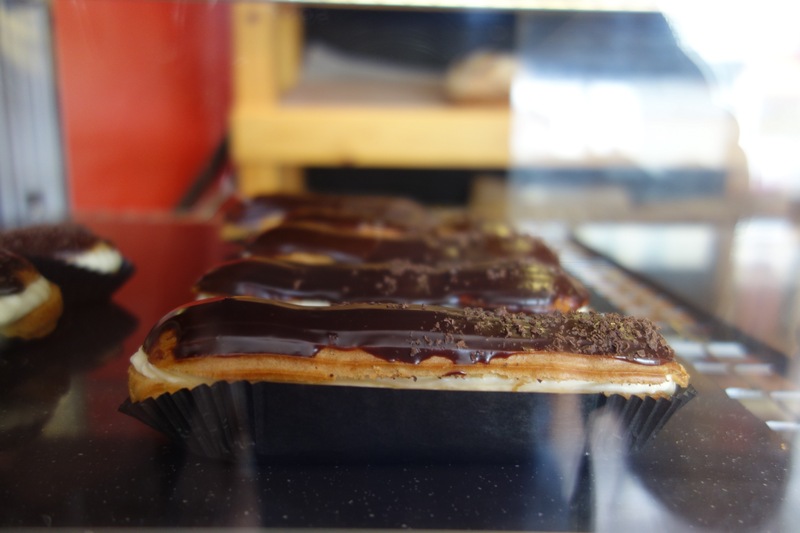 Daily bread is baked in the back, with a different speciality every morning. Saturdays, the customers decide what it will be. “Whoever has first dibs.” Something with olives, maybe, or a marmalade coburg which, “people say makes great cheese on toast”. A fabulous muffin (£1.40) made with buttermilk and smudged with raspberry jam and a sprinkling of crumble is how all muffins should be, delicately balanced between fine and dense, loose and claggy. Cookies (90p) have the right proportion of crunch to chew, made with Mars Bar, but for out of this world try a two-tiered brownie (£1.40), layered with chocolate ganache to make for a geometrically perfect cube of meltingly gorgeous dimensions. In my top three ever. 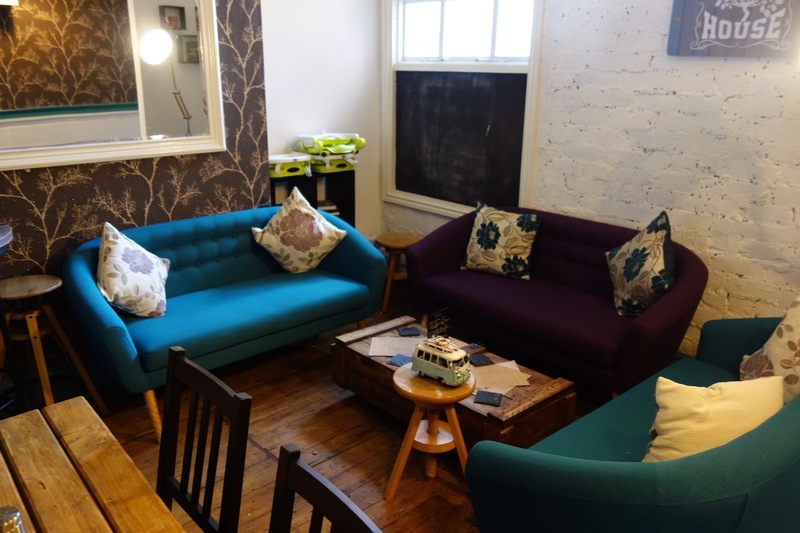 Little Macaron Shop, 42A St John's Rd, Waterloo, L22 9QG. WITH a Kurdish management and an eastern European chef, there are plenty or refreshing cross-cultural vibes coming through at Sunrise. But there is also something of the family living room to things in this tiny restaurant which is sandwiched between a lettings agency (currently ‘to let’ itself) and a junk shop that never opens. Serving a range of Mediterranean - largely Turkish - dishes, we begin with a good, thick, home made hummous (£3.95) and work out way though some sukuk izgara (spicy garlic sausage) impaled, lollipop style, on wooden skewers (£4.20). At the same price and with a similar nod to presentation, lamb kofta has more succulence and less of the obvious processed feel. And so to the mains with karinyarak (£10.90), a tomato-vivid minced lamb stew whose sheer quantity submerges the half aubergine somewhere in the depths. Seafood guvech (£12) wins the dinners, fat prawns and chunks of marinated monkfish bobbing about in another crimson tomato sea. Don’t expect flamboyant flourishes. Sunrise feels modest in its approach to food, and this is carried through in ambience and price. Yet it’s the sort of little standby that every neighbourhood needs: an unpretentious home from home to end a day where too much has gone on. 13/20 (Food 6/10; Ambience 3/5 Service 4/5). Sunrise, 57 St John's Rd, Waterloo, Liverpool L22 9QB. 0151 928 5530. 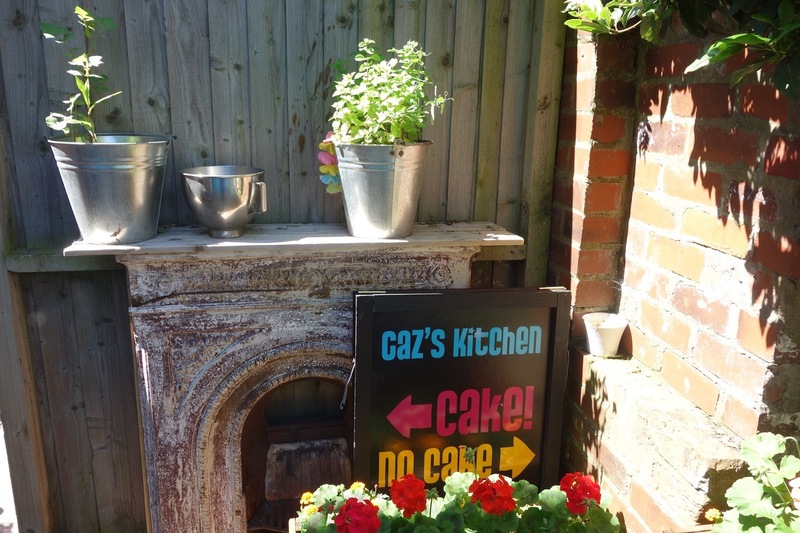 SOMETHING draws you towards Caz’s Kitchen, whether the non-conformist colours or the free and easy way with fonts, or maybe aroma of cakes, tarts, tortes, cheesecake and traybakes. Cakes are made not for admiring so much as devouring. Hence, no cupcakes just cheer yourself up cakes, like lemon and blueberry polenta (£2.25 eat in, 1.50 takeaway) with sponge that’s dense, buttery and moist and cut through with a burst of blueberry. Or the riches of an orange, poppy and chia seed cake (£3.30 eat in, £2.20 takeaway), topped with cream and run through with lemon curd. I’m not sure the tiffin (£1.80 eat in, £1.20 takeaway) is tiffin, strictly speaking. Whatever it is, it’s amazing, a rich seam of Belgian couverture chocolate, whose slight resistance melts dreamily away on the tongue. 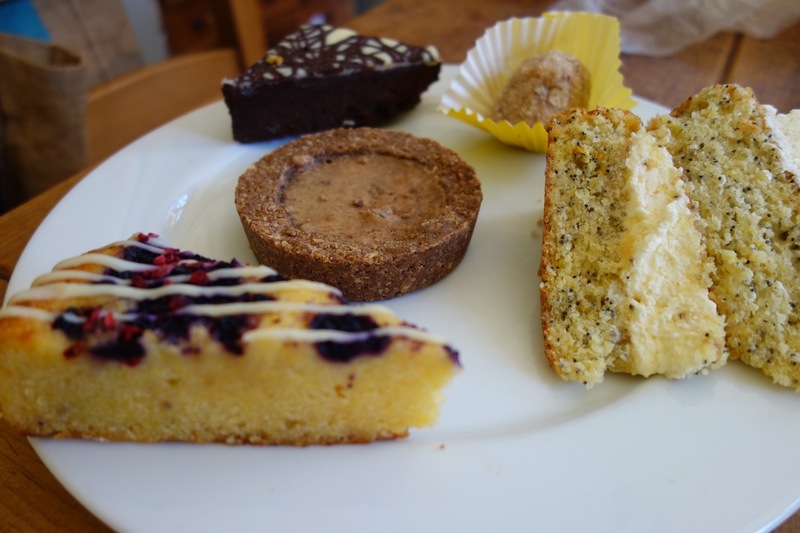 Caz is a nutritionist by background, hence something called wise woman cake loaded with elements known for brain boosting, hormone balancing, bone strengthening properties, and, coming soon, lactation cakes. They’re good for you but they do not bear the bitter taste of righteousness. A super berry power bomb (£2.40 to eat in, £1.60 to take away) is a toothsome, slow-release explosion of fruit, seeds and shades of coconut all wrapped up in a soft oaty ball. Have one for breakfast. The other side of Waterloo, at Caz’s allotment, trees laden with damson, figs, gooseberries, plums and more provide ingredients for cakes, home-made jams, marmalades and vinegars. If the sky is cloudless sky, try the back yard turned magical secret garden. Or sit out front with tea and tiffin and watch the Waterloo sun set go by. 17/20 (Food 7/10; Service 5/5; Ambience 5/5. 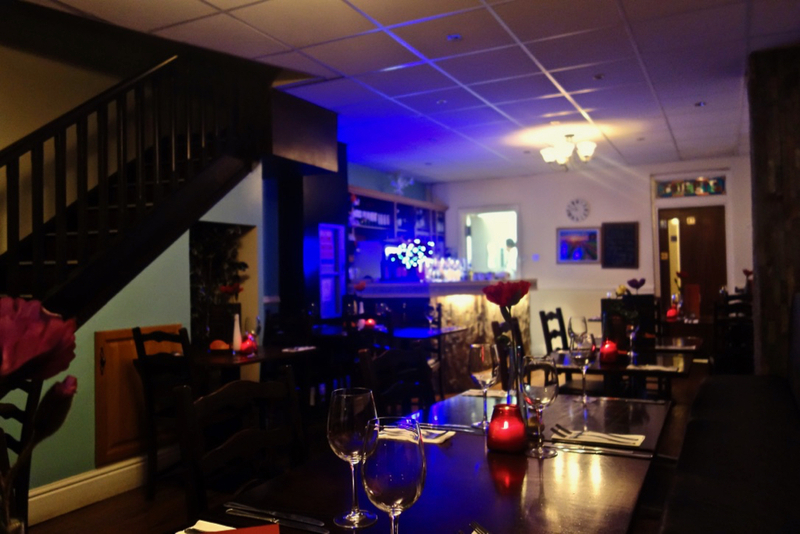 Caz's Kitchen, 47 St.Johns Road, Waterloo, L22 9QB.